All we know that a transformer works as a heart of an electrical system. 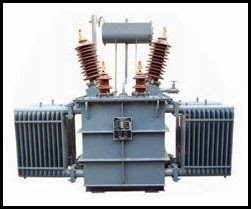 As a critical and an expensive component of the power systems, transformers play an important role in power delivery and the integrity of the power system network as a whole. Each Transformer have a specified limits of operation beyond which the loss of transformer life can occur. If subjected to adverse conditions there can be a heavy damage to the system and system equipment, besides intolerable interruption of service to the customers. 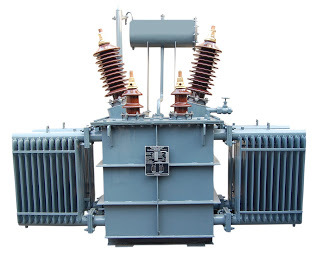 Since the lead time for repair and replacement of transformers is usually very long, therefore limiting the damage to faulted transformers is the foremost objective of transformer protection. Direct impact: The direct economic impact of repairing or replacing the transformer in terms of money. Indirect impact: After transformer failure supply to the customer got interrupted due to which production loss will occur which will affect the economy of nation. There are various Environmental Conditions due to which transformer operation got affected and loss of transformer life will occur, further the risk of a transformer failure is two-dimensional: the frequency of failure and the severity of failure. Most often transformer failures are a result of “insulation failure”. This category includes inadequate or defective installation, insulation deterioration, and short circuits, as opposed to exterior surges such as lightning and line faults. Besides of above there are some other causes of transformer failure which may include. Overloading:Transformers that experience a sustained loading that exceeds the nameplate capacity often face failure due to overloading. Line Surge: Failure caused by switching surges, voltage spikes, line faults/flashovers, and other T&D abnormalities suggests that more attention should be given to surge protection, or the adequacy of coil clamping and short circuit strength. Loose Connections: Loose connections, improper mating of dissimilar metals, improper torquing of bolted connections etc can also lead to failures in transformers. Oil Contamination: Oil contamination resulting in sludging, carbon tracking and humidity in the oil can often result in transformer failure. Design/Manufacturing Errors: This includes conditions such as: loose or unsupported leads, loose blocking, poor brazing, inadequate core insulation, inferior short circuit strength, and foreign objects left in the tank. Improper Maintenance/Operation: Inadequate or improper maintenance and operation are a major cause of transformer failures. It includes disconnected or improperly set controls, loss of coolant, accumulation of dirt & oil, and corrosion. External Factors: Several external factors like floods, fire explosions, lightening and moisture can be established as the causes of the failure as well. Transformer failures and safety hazards can be avoided or minimized by ensuring that the conductors and equipment are properly sized, protected and adequately grounded. Incorrect installation of transformers can result in fires from improper protection, as well as electric shock from inadequate grounding. Once the transformer is placed, the tank must be permanently grounded with a correctly sized and properly installed permanent ground. Access should be restricted to the transformer liquid-filled compartment in conditions of excessive humidity or rain. Dry air should be continuously pumped into the gas space if humidity exceeds 70%. Transformer should be given protection against rain such that no water gets inside. All equipment used in the handling of the fluid (hoses, pumps, etc.) should be clean and dry. If the insulating liquid for inspection is drawn out, its level should not go below the top of windings. Sufficient gas pressure must be maintained to allow a positive pressure of 1 psi to 2 psi at all times (even at low amb.temp.) when liquid-filled transformers are stored outside. Final inspection of the transformer is essential before it is energized. All electrical connections, bushings, draw lead connections should be checked. Upon loading the transformer it should be kept under observation during the first few hours of operation. All temperatures and pressures should be checked in the transformer tank during the first week of operation. Surge arresters must be installed and connected to the transformer bushing / terminals with the shortest possible leads to protect the equipment from line switching surges and lightning.